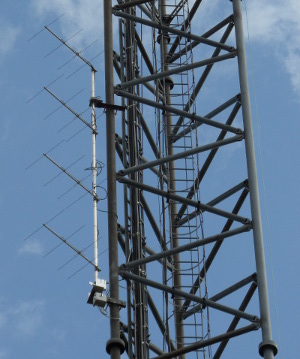 Antenna 8x 4 element DK7ZB vertically stacked on rotor direction 260 degrees over north to 130 degrees. On top our 432 stack is using the same rotor. Antenna 12x 4 element DK7ZB vertically stacked fixed direction 240 degrees. 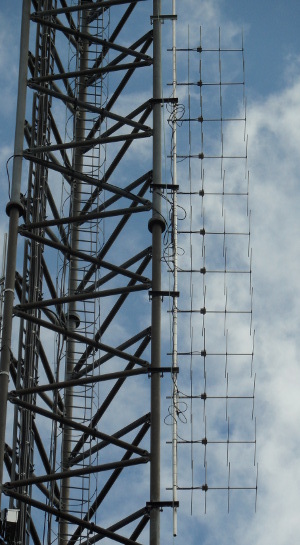 Antenna 4x 4 element M2 stacked vertically on rotor 290 degrees north and to 110 degrees. Antenna height AGL 40 meters. Antennas are selectable by the operator.